Wanderlust Beanie – Every guy needs a cozy hat to get him through the winter. Plus, the stitch variation makes this a fun pattern to work up. The Dude Scarf – This versatile scarf is the perfect gift for a guy – no frills, but still toasty warm. Easy Crocheted Slippers – Nothing says “relax” like a cozy pair of slippers. 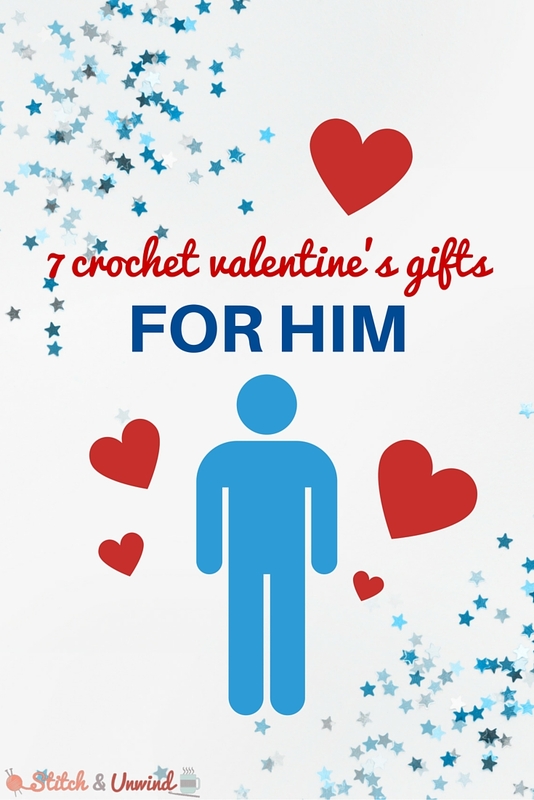 Let him know that he can take it easy with this gift! Camouflage Scarf – If your man is a fan of hunting, work this up to keep him warm when he’s out there in the woods! Men’s Cabled Golf Cap – This stylish cap is just the thing for when he’s out on the green. Perfect Crochet Golf Club Covers – Keep his clubs covered with these crochet cozies – you can make them in the colors of his favorite sports team! Seventh-Inning Stretch – The perfect game-day accessory, whether he’s in the stands or on the couch!